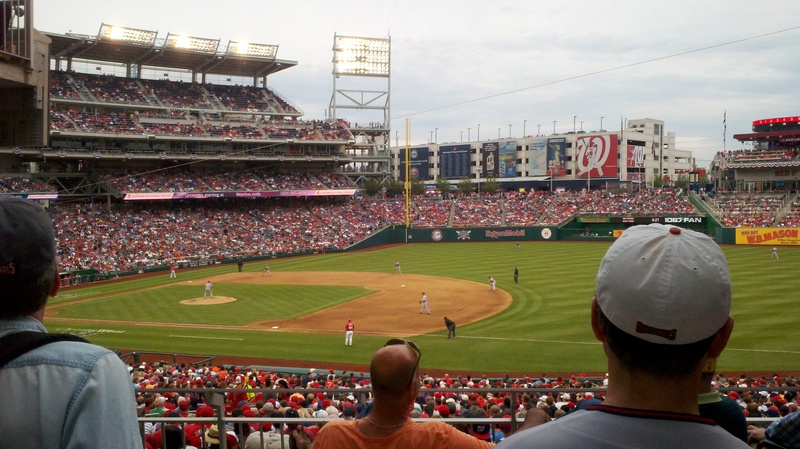 a few weeks ago after baseball promotions came out for all of the local teams, my buddy and i circled the april 14th bobblehead night for strasburg of the nationals. everyone who follows baseball knows that he is a flame thrower and has really brought the fans to the stadium. well, as time went on, he found out that he couldn’t make it so bee said she would go with me. she’s really gotten interested in baseball the last few years now that we have a partial season ticket package to the orioles and i think it makes her happy to see me doing something i enjoy. since the game didn’t start until 4:05, we decided to do something else we enjoy, check out some great art and with one of my favorite artist’s having a special display at the national gallery of art, we made the trip down earlier in the day. not to mention, we had to get to the stadium early to ensure we got one of these prized bobbleheads. so anyway, we got down there and checked out the Picasso drawings exhibit. the detail and intricacies of his works are incredible and something i really appreciate about his work. the variety of this collection was also large and spanned several decades. there were many different techniques and not just the usual cubism or blue period drawings that one might expect. the detail on some portions of the work versus the other pieces make you wonder what he was thinking or if he was working on his early skills. unfortunately, i didn’t take any pictures in exhibit to post and one guy got yelled at for being on his phone so i didn’t want to be that guy. 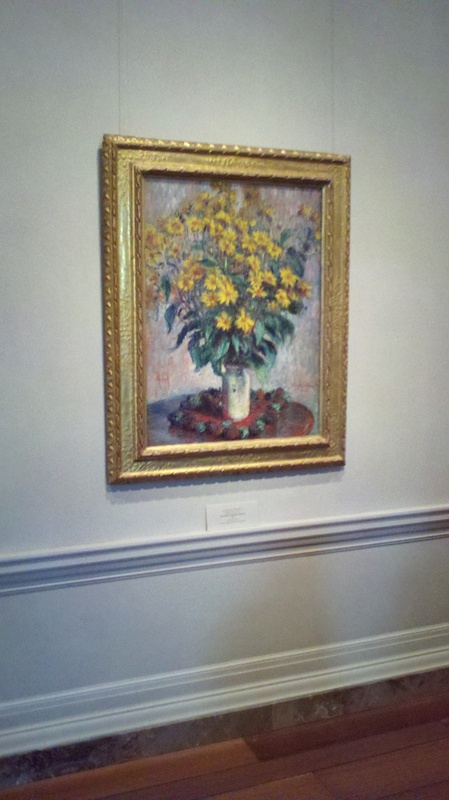 as we finished with the Picasso drawings, we walked through some of the Degas, Monet, and some Rodin. we didn’t get much time after that to move through many of the other exhibits and there were a ton of people checking out the japanese scrolls exhibit, but we didn’t want to wait or really have time. after we left, we stopped by potbelly for a quick bit to eat and then headed over to Nationals Park to take in a ball game. 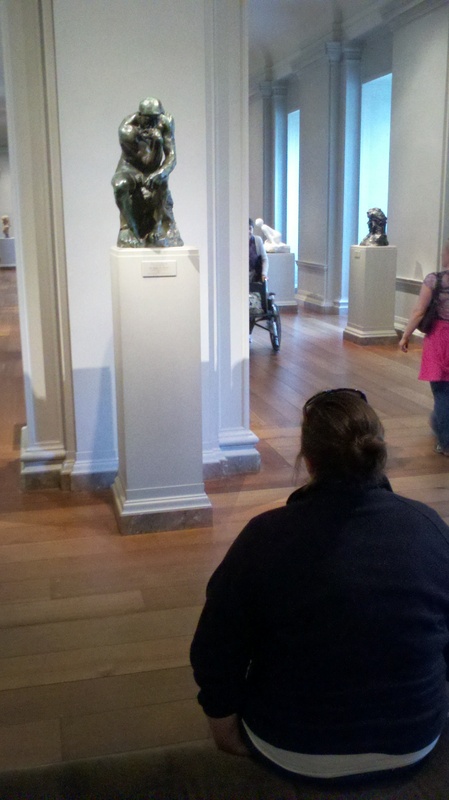 ps… you can see a full size version of the thinker at the BMA and you won’t have to leave baltimore. 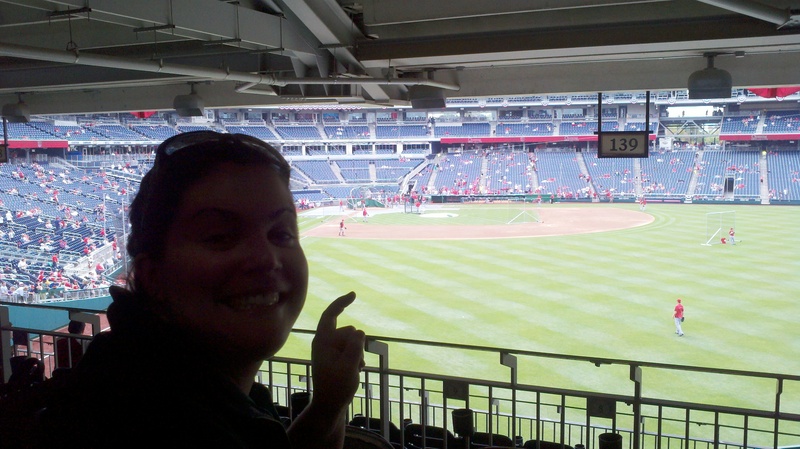 this was bee’s first trip to nationals park and my first one of the season. i made a couple trips down last year to see the orioles play as well as one game against the braves when her dad was in town. once we got there and got our tickets, we waited in line for about 20-30 minutes. we probably could have gone in earlier via the centerfield gate, but didn’t want walk around. plus we were calming down from almost blowing through a red light that i never really saw. those stoplights on the right and not in front of me get me every time. that’s neither here nor there but needless to say, we had a good time after not getting in an accident. we got to see edwin jackson pitch a great complete game. hopefully he signs with the orioles next year. we liked the open air feel of the stadium and the different food selections they have. we got some nachos and a couple free sodas. after the game ended, we went over to bee’s father’s favorite pizza place in rockville. when we called him about it, he recited the phone number exactly even though he now lives in nebraska. 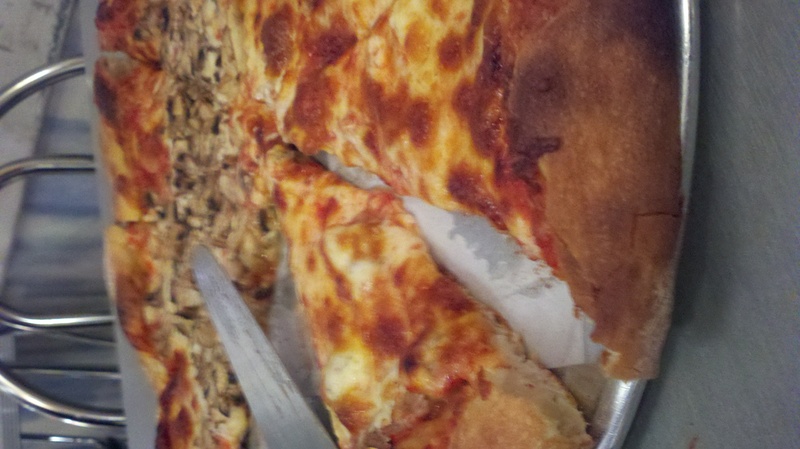 giuseppe’s makes a really tasty pizza and has a great crust. it’s more doughy then any other local pizzas that i have had. we left full, happy, and with a burnt roof of my mouth. all in all, we had a great day. enjoyed several of our favorite things to do and even ate some pizza.